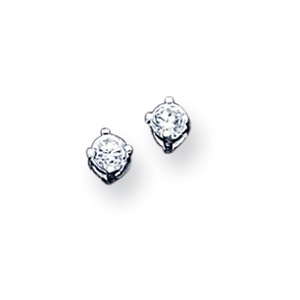 3mm cubic zirconia gemstones. Polished sterling silver. Four prong post earrings. Weight: 0.31 grams. Made in USA.